Diagnostic set consists of 6 laryngeal mirrors, 1 ophthalmoscope, 3 handles, 3 laryngeal brushes, 2 stems for laryngeal brushes and 2 glass rods. 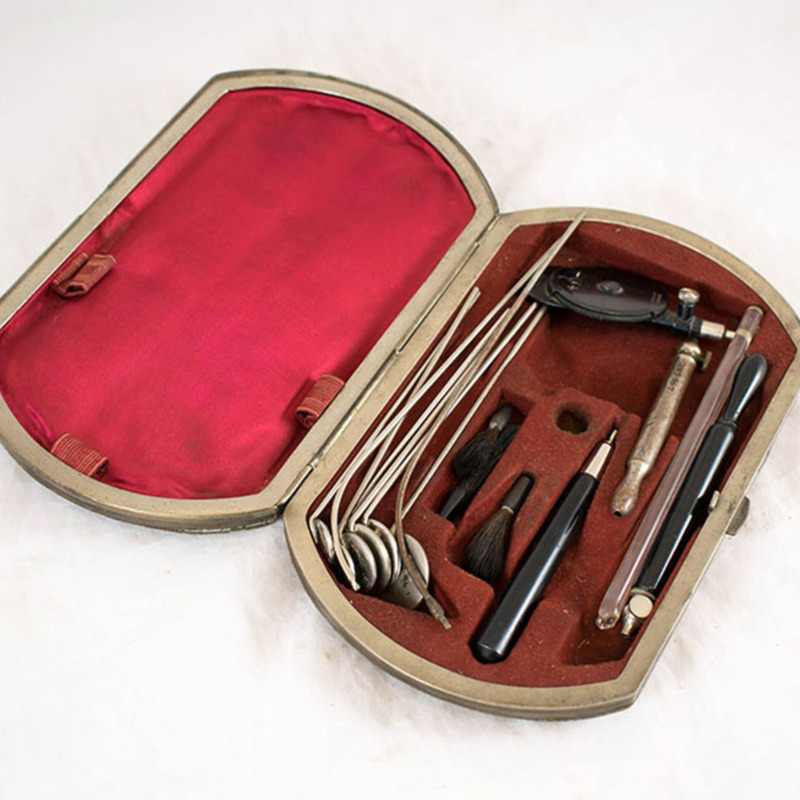 The glass rods and ophthalmoscope probably do not belong to the set. 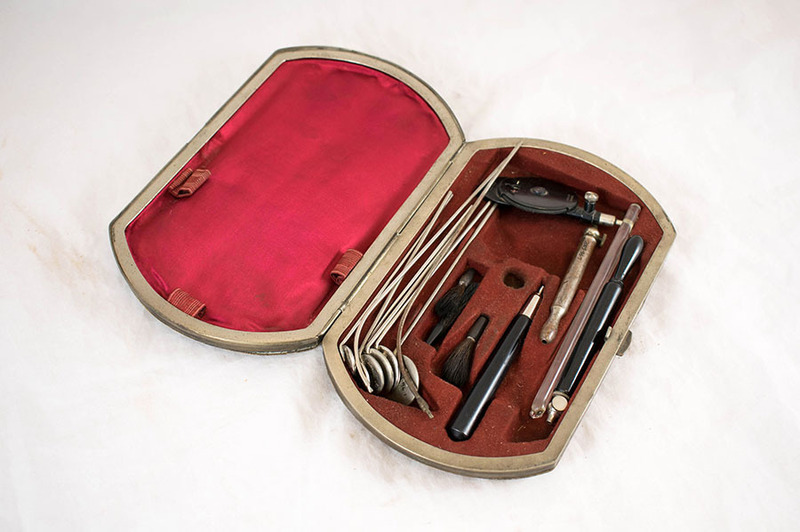 “Diagnostic Set,” Heritage, accessed April 24, 2019, https://heritage.rcpsg.ac.uk/items/show/657. 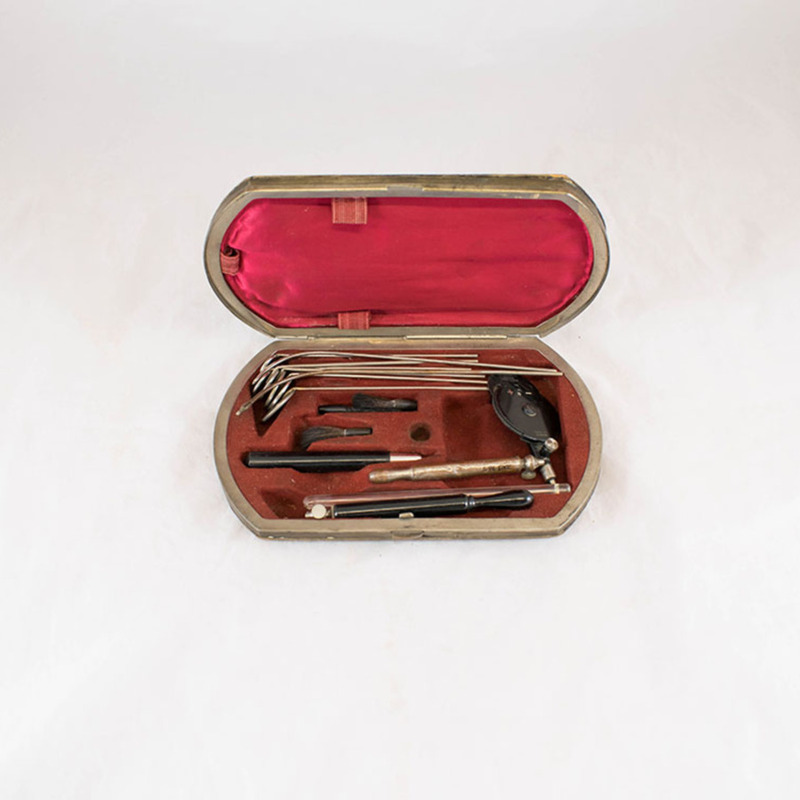 Description: Diagnostic set consists of 6 laryngeal mirrors, 1 ophthalmoscope, 3 handles, 3 laryngeal brushes, 2 stems for laryngeal brushes and 2 glass rods. 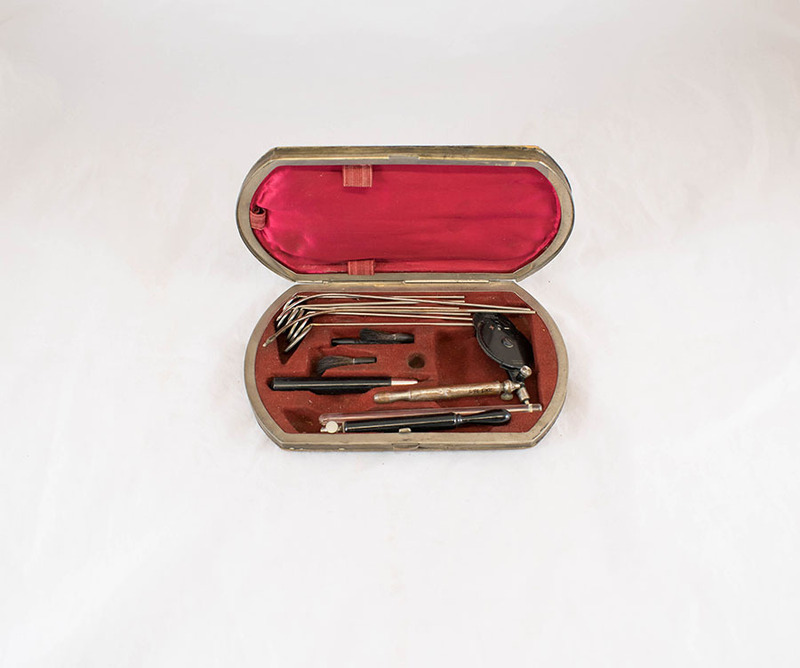 The glass rods and ophthalmoscope probably do not belong to the set.